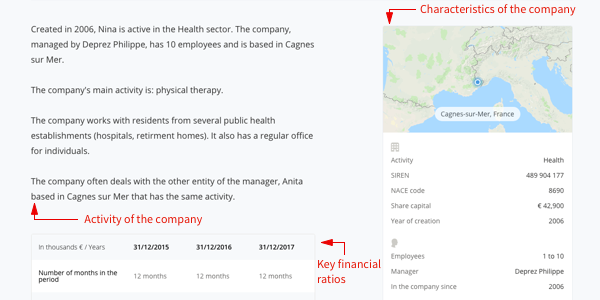 Our borrowers relations and credit teams collect quantitative and qualitative data to present the company and its project to the lenders and help them in their analysis. 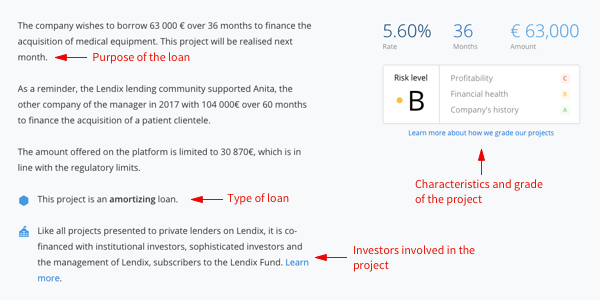 In the first section of the project description, we present the project for which the company requests a loan. We determine the interest rate of the project based on its rating and the maturity of the loan. Its key financial ratios, which is a summary of the Profit & Loss account for the last 3 years. It shows the company's ability to repay (learn more here). 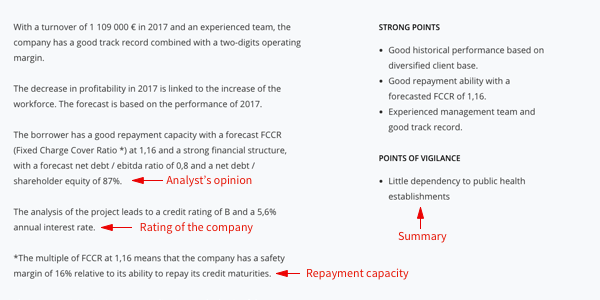 This assessment is written by the credit analyst who has studied the project and is approved by the credit committee of October. It is based mainly on the analysis of the company's financials, sector and management team. This part highlights the strengths and weaknesses of the company.